Sea Caves is an under developed area about a 5 minute drive from Coral Bay. It is also about 18 km from Paphos town and about 10 km to Agios Georgios and Peyia. Although it is very close to many activities, restaurants and bars in Coral Bay it still has a very rural feel to the area. There is rugged coastline with natural caves and rocky outcrops. 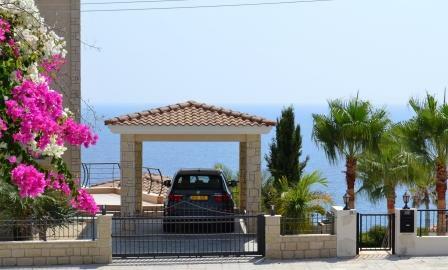 There are a few villas with views of the sea caves but there are still not many homes in the area. "Title Deeds, Furnished & Sea Views!" 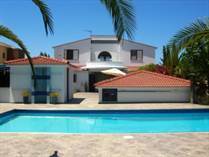 "300 Meters to the Sea"
"Spacious & Impressive Luxury Villa"
"Title Deeds - Large Plot"
"Sea Views in Prestigous Location"
The famous Lara Bay beach that is home to green and loggerhead turtles is a few miles away in the Akamas National Park. The Cyprus Turtle Conservation Project began in 1978 to help protect, monitor and raise public awareness of marine turtles in Cyprus and Lara Bay is one of the sites. Lara Bay is the perfect place to unwind after hiking at the Avakas Gorge. Both of these spots are in the Akamas National Park which is an area of 230 km and Sea Caves lies right on the edge of this. There is also a shipwreck along the coastline that is still there from 2011 when the Edro III ran into trouble and the crew was rescued. It is now somewhat of an attraction and a place where you can enjoy stunning views from the little restaurant that is right above it called "Oniro by the Sea." Despite being very quiet in these areas there are several popular restaurants in Sea Caves. 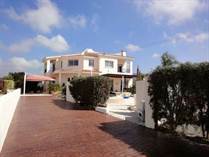 Peyia which is the nearest large village has all amenities including a school, supermarket, bank, bars and restaurants.